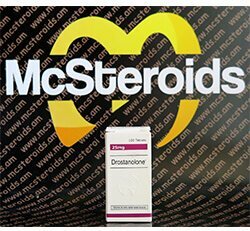 Drostanolone can increase muscle hardness and density, giving an individual a more complete appearance when competing on stage. 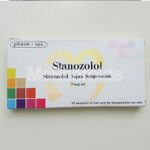 The drug methyl-drostanolone, which may well be known to many readers under the name Superdrol, was developed by the pharmaceutical company Synthex in the late 1950s and first described in 1959 for the first time scientifically (1). 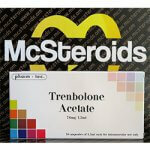 Despite its medically very positive ratio of anabolic to androgenic effects, methyldrostanolone was never used in the medical field and soon fell into oblivion. 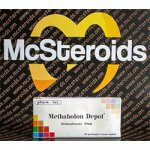 In 2005, methyldrostanolone appeared again in the form of the sports supplement Superdrol by Designer Supplements. 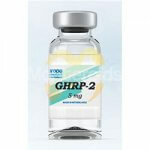 This product was in a legal gray zone, because the drug on the one hand on any official list of Prohibited drugs did not appear, but on the other hand represents a purely synthetic steroid that does not occur naturally. Despite a request from the US Department of Health to the appropriate supplement manufacturers to voluntarily withdraw their Superdrol preparations from the market, there are many sports supplements that contain methyldrostanolone as an active ingredient. Methyldrostanolone is structurally a dihydrotestosterone derivative, which differs by an additional methyl group at position 2 and 17 of dihydrotestosterone. Methylonostanolone differs from Masteron (Drostanolone) only by the additional methyl group at position 17. The methyl group at position 17, which is also referred to as alpha-17-alkylation, is necessary to prevent the drug from being degraded in the first pass “Protected by the liver, as both dihydrotestosterone and Masteron are almost completely metabolized by the liver when given orally at First Pass. The methyl group at position 2 increases the anabolic effect of methyldrostanolone compared to dihydrotestosterone because, unlike dihydrotestosterone in muscle tissue, the molecule is not deactivated by the 3-hydroxysteroid dehydrogenase enzyme because of this modification before it acts on the androgen receptors of the muscles can unfold. 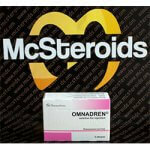 Rat studies indicate that methyldrostanolone accounts for four times the anabolic and only one fifth of the androgenic effects of methyltestosterone, which corresponds to a 20: 1 ratio of anabolic to androgenic effects. Although these values ​​are not directly applicable to humans, they show quite clearly that methyldrostanolone is an active substance with a very pronounced anabolic effect and minimal androgen action. Since methyldrostanolone is present as a derivative of dihydrotestosterone in 5-alpha reduced form, the drug in the body can not be converted by the aromatase enzyme into estrogen.  According to users, the marked anabolic effect of methyldrostanolone is reflected in acceptable increases in lean muscle mass with no accompanying water retention. In this case, the growth seems to be greatest according to practical observations, when the daily protein intake is at least 3 grams of protein per kilogram of body weight, sufficient amounts of high-quality carbohydrates are consumed and there is a surplus of calories. The increased intake of complex carbohydrates has such a positive effect because methyldrostanolone seems to significantly increase glycogen storage in the muscles. 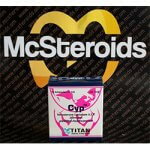 In addition to the increase in mass, users generally report immediate, strong increases in strength and a harder and denser appearance of the musculature, with the latter likely to be due, among other things, to a draining effect of methyldrostanolone. Furthermore, methyldrostanolone appears to have a positive effect on endurance strength, which is reflected in the ability to perform more repetitions and more training sets.